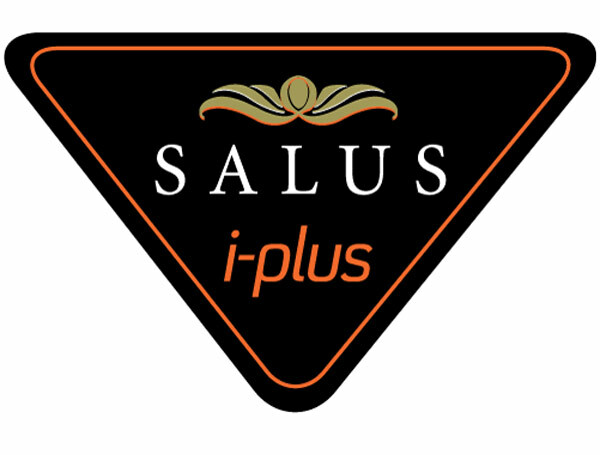 New from Salus is a range of 3 pocket spring and memory foam beds , the first model in the range is the Absolute Comfort which combines 1000 taller pocket springs in a king size mattress along with a 23mm layer of iplus cooler and more sensitive memory foam. 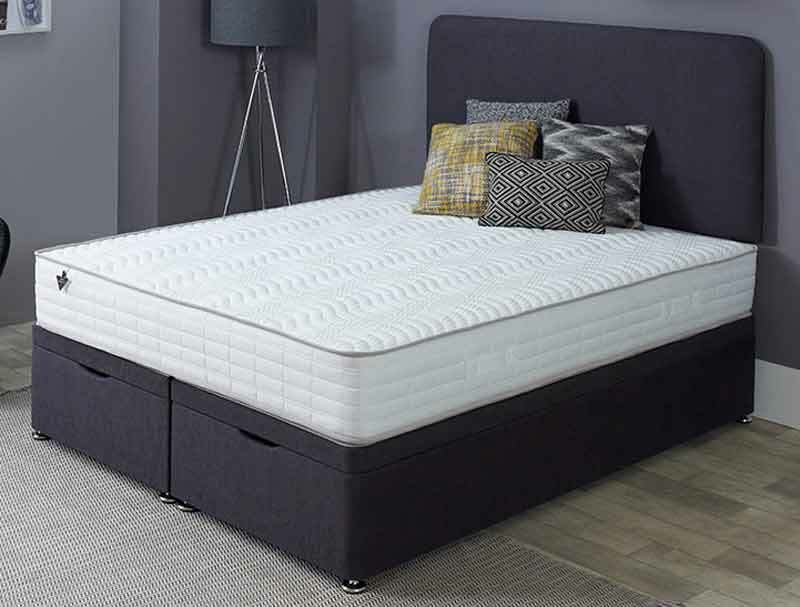 The mattress also benefits from a edge support protection (ESP) wall around the mattress keeping the springs in place and the iplus foam on the top. All of this is then wrapped up inside a soft knit 4 way stretch fabric to give a medium to firm feel. This bed is available in single, small double, double, king and super king sizes and comes as standard as a platform top divan non drawer base with the option of 2, 2+2 or 4 drawers as an upgrade on all sizes with the excception of Small double you can upgrade to the ottoman base pictured. The headboard pictured is called Camden it is not included in price but is available as an add on and if required and will be made in same fabric as base. 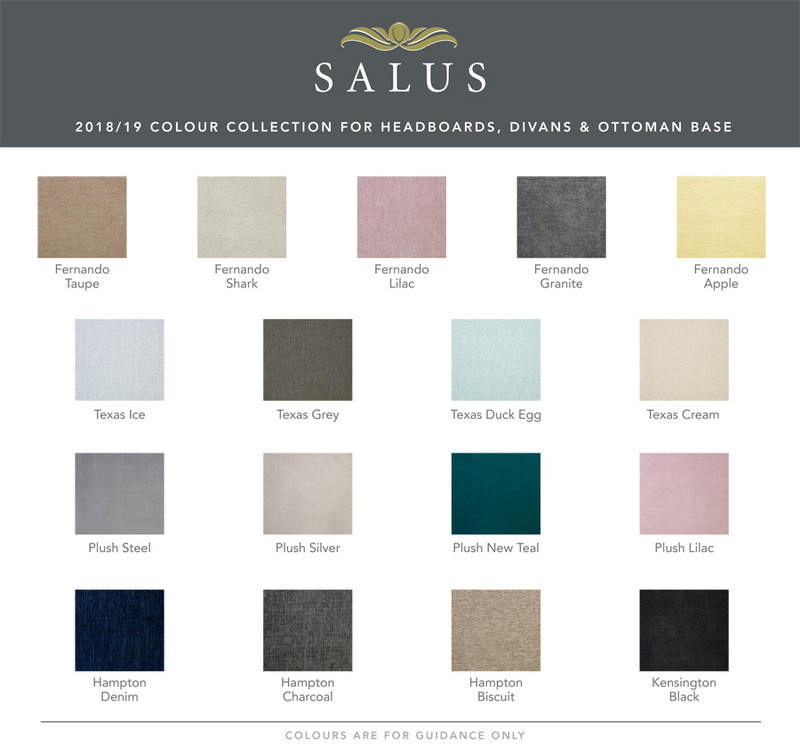 All Salus Beds come with a 10 Year Guarantee.